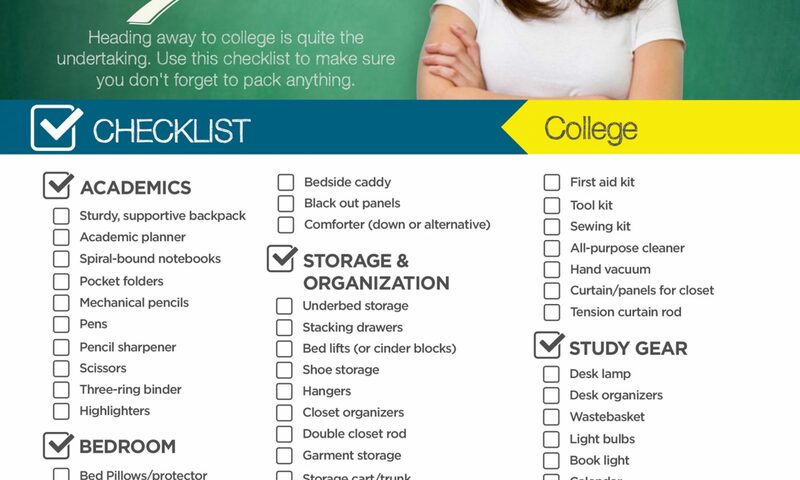 Get prepared for the semester now with this College Checklist. Heading away to college is quite the adventure. 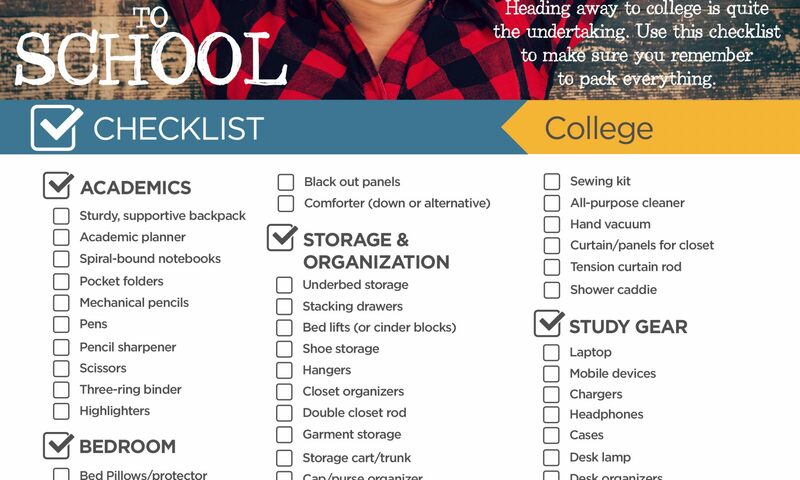 Use this checklist to make sure you don’t forget to pack or grab anything you may need for class or for your new dorm room. 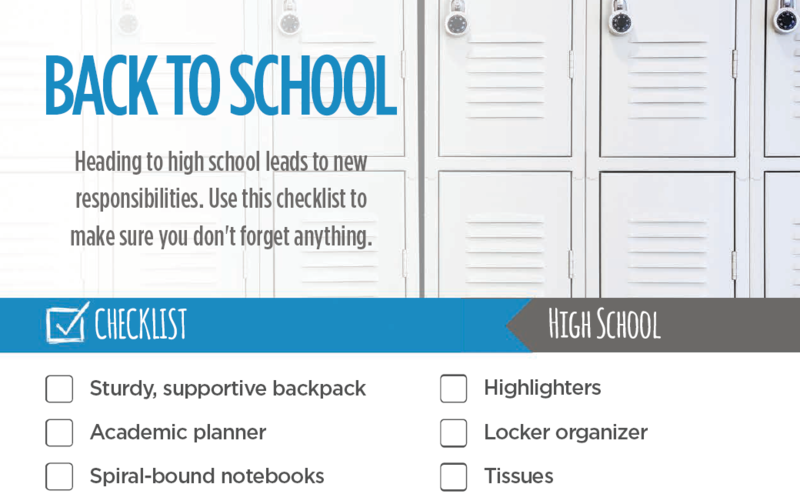 Get prepared for the school year now with this High School Checklist. Heading to high school is quite the undertaking. 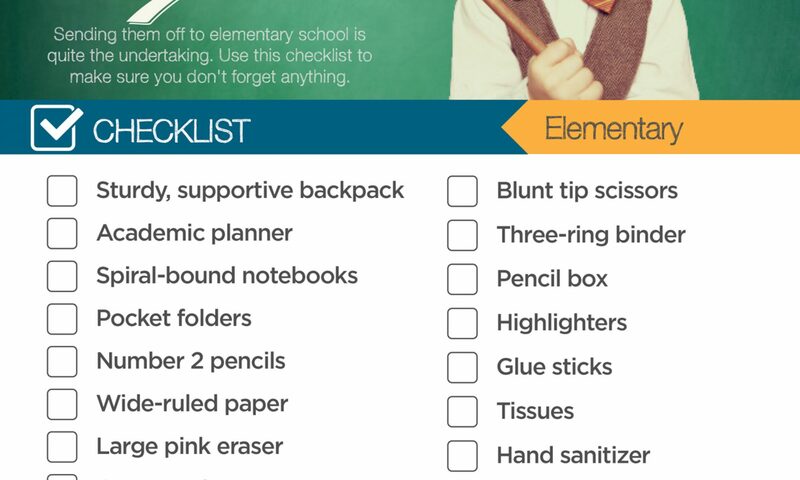 Use this checklist to make sure you don’t forget anything. 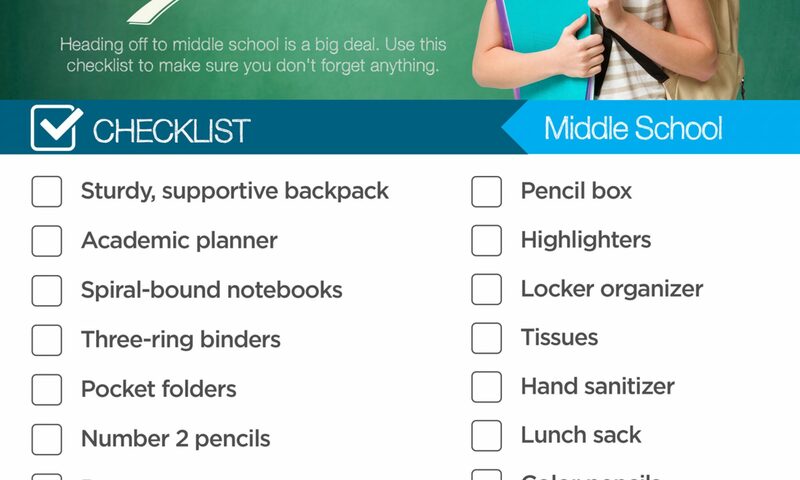 Get prepared for the school year now with this Middle School Checklist. Heading off to middle school is a big deal. 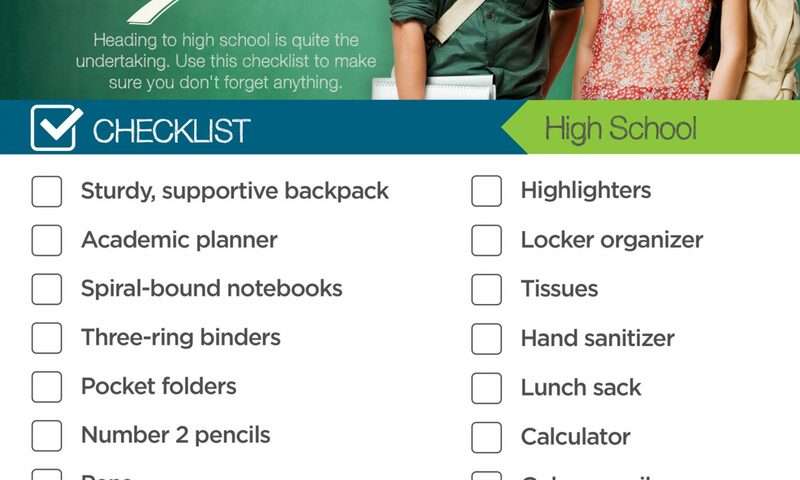 Use this checklist to make sure you don’t forget anything on the big day. 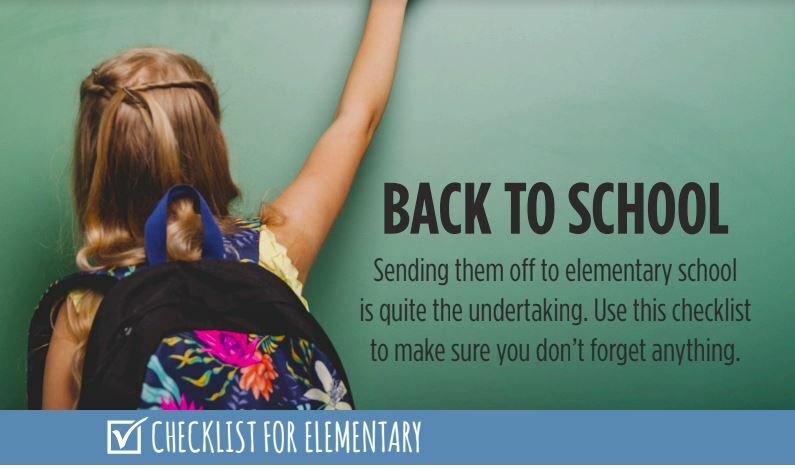 Get prepared for the school year now with this Elementary School Checklist. Sending them off to elementary school is quite eventful. 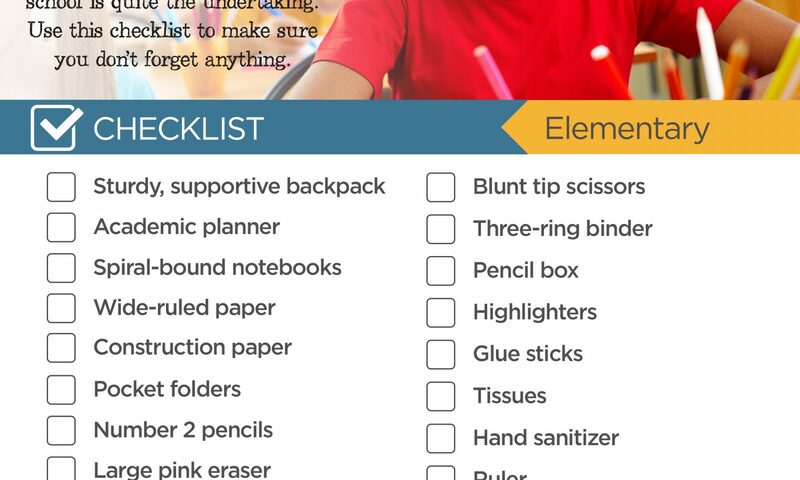 Use this checklist to make sure you aren’t grabbing things from the store at the last minute.